Established to cater to the Indian exporter and importer, Puyvast's Logistics division has several decades of experience in providing a host of value added services. Puyvast has its own Customs House Agents License (CHA) at Chennai, Vizag, Kakinada, Bangalore, Mangalore and Karwar. Puyvast regularly clears containers from these ports and lCD'S. Puyvast is also registered with the Director General of Shipping (DGS) as a Multimodal Transport Operator (MTO). 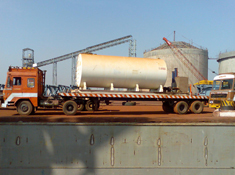 To augment their services Puyvast own and operate a fleet of heavy equipments, including trailers, cranes and forklifts. 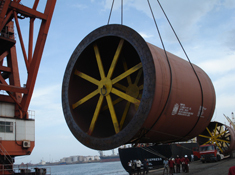 With the competence to undertake carriage of cargo by sea in containers as well as break bulk, Puyvast has the capacity to offer comprehensive end to end solutions for outward and inward transits through their Freight Forwarding division and a network of overseas associates. Puyvast, through their own and associated concerns, also operate their own stock yards at all major ports, are registered stevedores, and have long term tie-ups with reputed warehousing companies. • Cranes (Crawler and Truck Mounted) : Capacity - 10 Mtns to 125 Mtns. • Forklift Trucks : Capacity - 05 Mtns to 32 Mtns. • Trailers : 20' & 40'.